One of Orbital ATK’s core values is support for those who defend our freedom every day. Through a partnership with the USO of Metropolitan Washington and Baltimore, Orbital ATK supports and gives back to our troops and their families by hosting and participating in events throughout the year to honor their service to our nation. 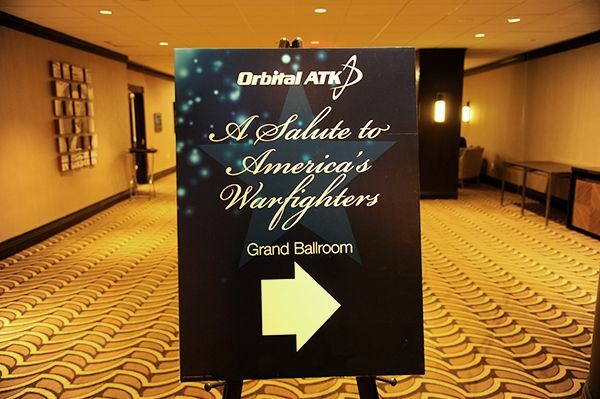 At the 2015 Association of the United States Army (AUSA) annual meeting and exposition, Orbital ATK hosted “A Salute to America’s Warfighters” – an evening reception held in honor of our nation’s military members and their families. The night’s events included an appearance from the newly crowned Miss America, Betty Cantrel, and live music. The evening’s event kicked off with a welcome from Orbital ATK’s President and CEO, David Thompson. Elaine Rogers, President of the USO of Metropolitan Washington and Baltimore, thanked Orbital ATK for the continued partnership. Miss America, Betty Cantrell, kicked off her year-long partnership with the USO at the event. The daughter of an Army Ranger, Cantrell shares a common bond with those who serve. Orbital ATK will support other USO-Metro activities in the coming months including Project Elf, an annual program that provides holiday gifts for children of our military, and the annual trip to the Udvar Hazy Air and Space Museum where military family members, and their curious children get the opportunity to meet real-life astronauts and get a private tour the museum. Orbital ATK's AUSA Recpetion, "A Salute to America's Warfighters," was held in honor of those who serve our nation and their families. 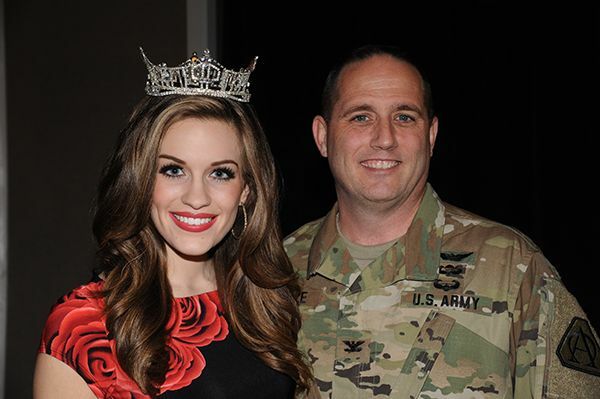 Miss America, Betty Cantrell, poses with a U.S. Army soldier during Orbital ATK's AUSA reception.